As with pretty much everything in life I am always three steps behind where I had planned to be and that can also be applied to my Christmas baking and more importantly to you guys my Christmas recipe blogging. 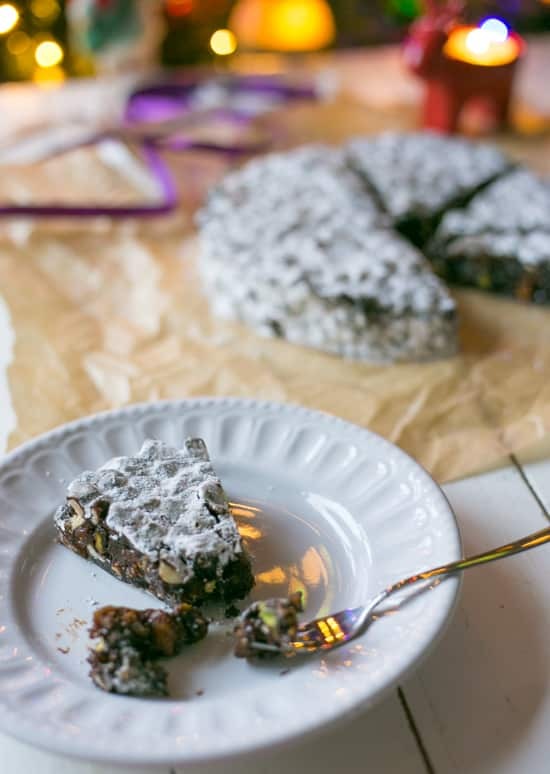 I am currently sat at the dining room table in my childhood family home writing up this post, drinking a large mug of homemade mulled wine and eating a slice of this Gluten Free Vegan Italian Chocolate Panforte. I am so behind on everything!!! 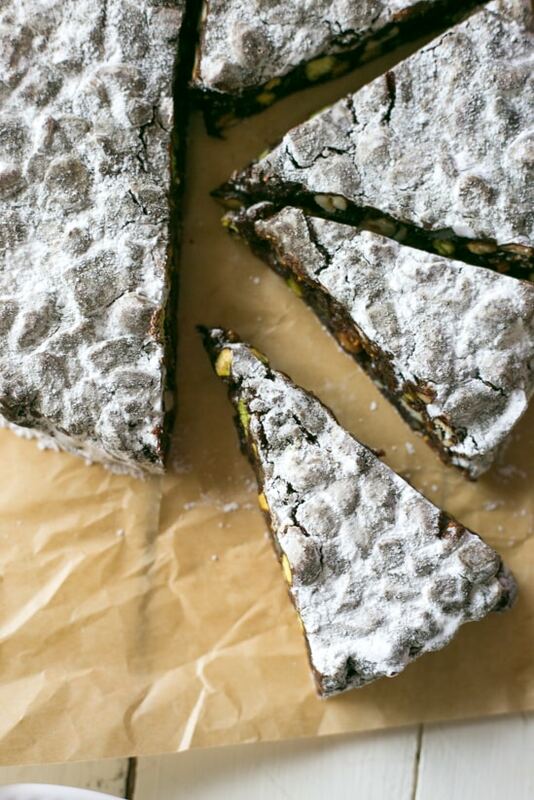 So let’s get on with this gluten-free vegan chocolate Italian panforte, shall we? And I will stop my complaining. 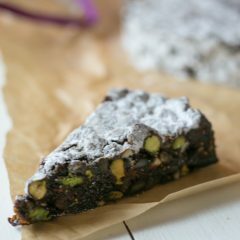 Traditionally panforte is made with honey (lots of it) fruit, nuts, spices and a touch of flour to bring it all together. To make this gluten-free I simply swapped out the flour for white rice flour. This is what I had on hand for a gluten-free option. I should imagine any gluten-free flour can be used. The amount is pretty small and is used more as a binder then for any structural purposes. So I imagine if you have a favourite gluten-free flour you would be good to use that one. To make this vegan I simply swapped out the honey for sweet light agave nectar. The only other thing to watch out for is the sweet fortified wine that I added. I must admit it did take some hunting for me to find a vegan fortified wine but I did it. If you are not sure and are wanting to make this for someone else, then just simply replace it with fruit juice. Better to be safe than sorry. Everything else in this gluten free vegan chocolate Italian panforte is super simple and easy to come by. I used a combination of pistachios, hazelnuts and cashews for the nuts. For the dried fruits I used a mix of candied citrus peel, figs and apricots. I felt these three had a more Mediterranean feel to them then some of the other dried fruits available. Don’t need it GF & Vegan. 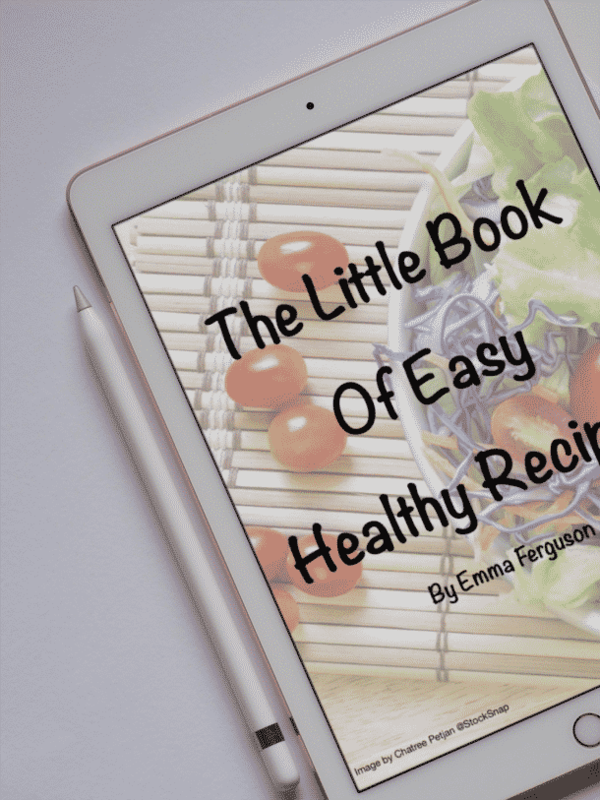 If you fancy making this recipe but don’t follow a gluten-free or vegan diet then it is easy to swap the ingredients about. Regular plain / all purpose flour can be used and honey can replace the agave nectar and you won’t need to give any special considerations to the dessert wine used. Hopefully, the next few weeks will calm down and I can get back to a more relaxed blogging schedule….. Yeah, that is not gonna happen. Next up it is Christmas with the in-laws…lol. 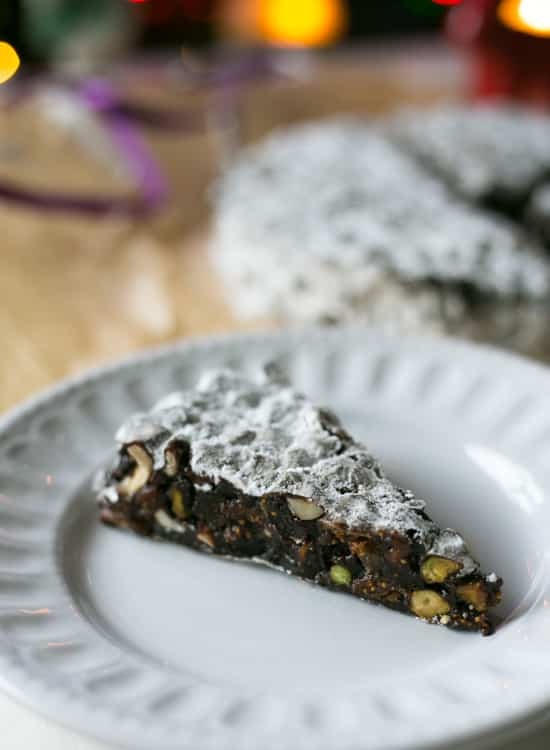 Gluten Free Vegan Italian Chocolate Panforte is an easy to make Italian Christmas cake. Packed full of nuts, dried fruits and sweet spices and a little bit of dark chocolate. Easy recipe to follow and only a few ingredients needed. Adapted to be Vegan and Gluten Free. Preheat your oven to 150C / 300F / Gas mark 2. Prepare a 20cm / 8inch round springform pan by lightly greasing it with vegetable fat and line the tin with baking parchment then place to one side. Cover a large flat baking sheet with baking parchment or use a silicone baking mat and sprinkle all of the nuts over it and place them in the oven for 5 minutes. Once 5 minutes are up, stir the nuts and give them a further 5 minutes. Take them out of the oven and allow them to cool down. While they are cooling down, take your figs and apricots and chop them up into small chunks and toss them into a large mixing bowl. Once the nuts are cool, chop them up - not too fine still leave them chunky and place them in with the figs and apricots. Add in the candied citrus peel and give all the nuts, fruit and peel a good mix. Add in, the rice flour, cocoa powder and spices and mix until everything is well combined. In a small saucepan over a low heat pour in the agave nectar, sugar and add-in the chocolate once it's been broken up into small chunks. Add-in, the wine if you are using it. Then over a low heat, stir until the ingredients warm up and the chocolate has melted. Pour the liquid ingredients over the dry ingredients and stir until everything is well coated. Carefully pour the batter into your prepared cake tin, pat it down with the back of a spoon and place in your warm oven for 40 minutes. Once baked take it out of the oven and allow it to sit in the tin and fully cool down. The cake will firm up as it cools. Once cool release the cake from the tin and liberally coat with icing sugar. Wrap the cake with baking parchment and keep in an airtight container in the fridge for up to a month. If you can't find a vegan, friendly wine then by all mean's use fruit juice in its place. WHOA. THIS IS SO INTERESTING AND UNIQUE!! I don’t think I have ever seen a recipe like this before in my life. And I have never even heard of a panforte before – ha! It looks crunchy! 🙂 So much going on in there! oh my goodness, this is just DENSE with good stuff! what a unique and drool-worthy treat! Hi Emma, I absolutely adore this panforte, the dried fruits, the nuts everything. Hope things slow down for you a little. Happy holidays, Cheri! My husband is on a gluten-free diet so this recipe is just perfect for me. 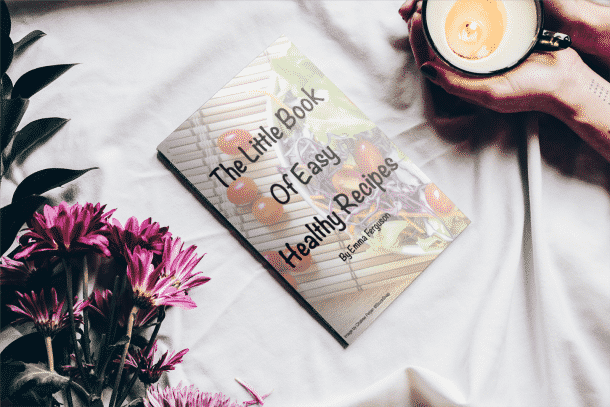 I have managed to find everyday cooking recipes but still struggling to find tasty recipes for gluten-free Christmas treats for him. Thank you very much for sharing! Emma just salivating looking at your photos. The last time we had a panforte was in Bologna…. thanks for bringing back some delicious memories. Sharing, of course! What a gorgeous dessert! Packed full of fruit and nuts, every bite must be amazing!! It’s so easy to get behind this time of the year! We aren’t traveling this year which is nice (usually we do to visit my family who are a plane ride away) … but at the same time things have been nuts with trying to mail presents and such ahead of time! haha I figure at least close to the holiday I will be calm 🙂 ANYWAY this sounds delicious!! I hope you have a great early holiday with your family!! I love baked goods with nuts. This glutenfree panforte sounds great! This looks delicious! The only gluten free flour I have is coconut flour, buy I suspect it wouldn’t work here. This looks so good regardless! I am sure you will ace it, Lorraine! I feel like I’m always three steps behind, too…even though I’m a total planner! It does seem hard to fit everything in, especially at this time of year, but it looks to me like you’re doing a great job! Chocolate is always a win in my book! 🙂 Hope you get to enjoy all your holiday get-togethers without feeling too rushed! I love the idea of doing an early Christmas with family! This time of year is so hectic it’s nice to find ways to make sure we see our loved ones :). 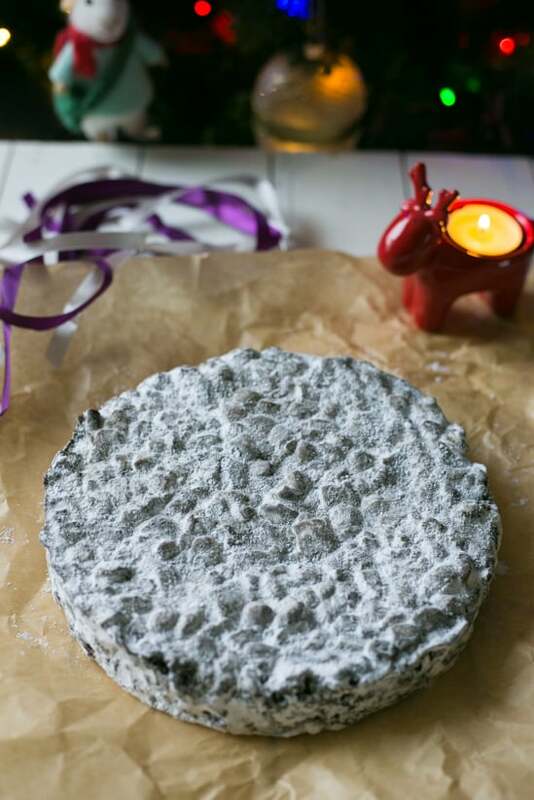 I’ve never made panforte but I really want to try it! This is such a great recipe for this time of year; I always have loads of fruit and nuts in the house so this is a great way to use them up. That is a great idea, Caroline 😀 nothing worse than that pile of fruit and nuts and nothing to do with them! Thank you Amrita, the spices do add a lovely quality to it. It must have tasted marvelous with all the nuts, dried fruit and chocolate!